I’ve compiled a list of tools that the Crucial team uses on a daily basis to do research on Web Hosting. These tools can give you a huge amount of information about hosting providers, how they operate, and issues you may be having with your site with your current hosting provider. DomainTools.com/Whois.sc: If you wanted to find the IP address of www.crucial.com.au you would type: http://whois.sc/crucial.com.au and then click on the “Server Stats” tab. IntoDNS.com: Type your website into the box and press report, scroll down to the section “WWW A Record” to see the IP address. DomainTools.com/Whois.sc: I’ll use www.crucial.com.au as an example, type http://whois.sc/crucial.com.au and click on the “Server Stats” tab. You’ll see the location for the IP address under the “IP Location:” heading. IPligence.com: Using www.crucial.com.au as an example, you can see the IP address listed for our website is Surry Hills, NSW. Which is accurate to the major city, but is actually our office address and not the datacenter address. DomainTools.com/Whois.sc: Example: http://whois.sc/182.160.134.60 check under the reverse IP section, you will see the other sites hosted on this IP address (in this case all related to www.crucial.com.au). Traceroute.org: Just select where you want to run the traceroute from, select the ISP to use, and then type of the IP address or domain name you want to do the trace to. Is a website down, or am I just having network issues? IntoDNS.com: Just type in the domain, and see the report on the domain. IntoDNS provides a bunch of DNS related information on the domain. DomainTools.com/Whois.sc: Eg: http://whois.sc/182.160.134.60 and check the “Resolve Host” section for RDNS, and the reverse IP section for more details on who else is hosted on the same IP address. DomainTools.com/Whois.sc: Eg: http://whois.sc/182.160.134.60 and check the big bit of text under the table of information. You will see who owns the IP address (in this case us, Crucial Paradigm Pty Ltd). DomainTools.com/Whois.sc: Eg http://whois.sc/crucial.com.au and look down the bottom of the whois information for the name server hosts and IP addresses. Network-Tools.com: Select whois, and enter the domain. After submitting scroll down to the bottom of the whois information for the name server details. DomainTools.com/Whois.sc: Eg: http://whois.sc/182.160.134.60 from here you can find out the ASN (network identifier), as well as details on the IP address and who owns it. A hosting company does not always own their own IP addresses, you can find out who they using for their network or who they are leasing hardware from. bgp.he.net: This is the most advanced tool I’ll be going over in this blog post, but is very powerful. IPs Originated (v4): This is the number of IP addresses being used by the AS number. So in our case (at the time of writing), we have 39,168 IPs under our AS number (AS38544). Go to Prefixes v4 (eg: http://bgp.he.net/AS38544#_prefixes) to see the exact ranges being announced (in most cases these are owned by the AS number, but not always in every case). Go to Prefixes v6 (eg: http://bgp.he.net/AS38544#_prefixes6) to see the IPv6 ranges being announced. If there is nothing there, or no tab this means the network is not using IPv6. Go to Peers v4 (eg: http://bgp.he.net/AS38544#_peers) to see which ISPs and peering partners they use. If you see only 1 here, this should ring alarm bells as it means there is no ISP redundancy. Pay attention to the quality of the ISPs listed here as well, just because a provider has a bunch listed here, doesn’t mean they have a better network. Go to Peers v6 (http://bgp.he.net/AS38544#_peers6) to see which ISPs are connected via IPv6, the same rules apply as v4. If the tab isn’t showing then the network does not support IPv6. You want to see at least 2 ISPs listed here, and also want to see quality providers. How old is a domain name? DomainTools.com/Whois.sc: Eg: http://whois.sc/asdf.com and go to the Whois details and you can see when the domain was registered. This only works for some domain extensions, and for example does not work for .au extensions. Archive.org: Type the domain into the Way Back Machine field, and hit “Take Me Back”. Eg: http://web.archive.org/web/*/https://www.crucial.com.au – you can see the first time www.crucial.com.au appeared was in 1999 when the domain was first registered by taking a look at the years where there are archives kept for the site. Keep in this case, our domain used to be owned by a different company before we registered the domain in 2003. What did a website look like X number of years ago (history of the internet)? Archive.org: Type the domain into the Way Back Machine field, and hit “Take Me Back”. Eg: http://web.archive.org/web/*/https://www.crucial.com.au – to see the first version of the www.crucial.com.au site, click 2003, and then 24 Dec: http://web.archive.org/web/20031225135541/https://www.crucial.com.au/800/index.htm – you can see what our website used to look like. (We’ve come a long way since!) In this case we are missing a few images, but you get the idea what the site used to look like. Hope you found this information useful! As you can probably see one of the most heavily used tools we use is DomainTools.com/Whois.sc – I personally use this several times a day (and I know the rest of the team uses it probably more regularly than this), and would recommend the paid version to anyone who needs to do regular research. 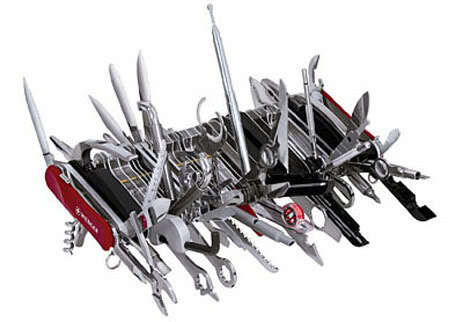 Do you have any other tools you use for your web hosting research? Please do let me know! I also find SenderBase / MX toolbox (especially the blacklist: command) to be especially useful along with whatsmydns.net for checking global DNS propagation. All very good tools! I missed the http://mxtoolbox.com/ one in the post, I know our team uses this from time to time as well.